A 25-year-old man probably owes his life to Ángel Luis Valladares, a Local Police officer from El Sauzal, who did not hesitate to jump into the sea to help him. 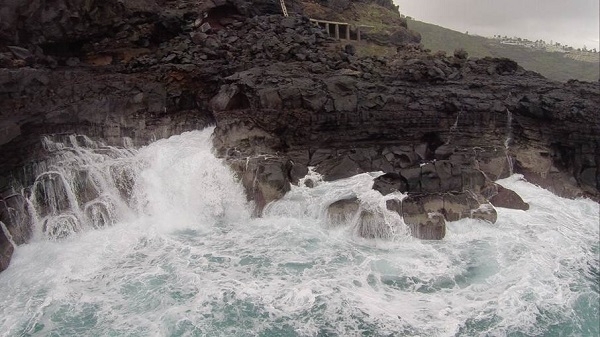 The victim fell into the water in the area of Las Rojas, an area on the coast of El Sauzal popular with hikers and fishermen. He was in danger of drowning in heavy swell. The officer, who had just accompanied a procession about two kilometres away, rushed to the scene and jumped into the water. 19.03.2018 - He helped the victim stay afloat until they were both rescued by an emergency helicopter. The pilot dropped off the police officer in El Sauzal, and the rescued man was handed over to an ambulance crew at the northern airport. The man had abrasions and had fainted, but he was fine. He was taken to the HUC University Hospital in La Laguna for observation. Eyewitnesses reported that he probably would not have survived without the rapid intervention of the police officer. Produced with news.CMS in 0,0586 seconds.